The founder of the Illuminati, Adam Weishaupt, lived in the Engelburggasse from 1785 to 1787 in Regensburg. This is suggested from an 18th century engraving, where the house with the number 8 is visible in the background. On May 1st 1776, the order of the ‘Federation of the Perfektibilists‘ was founded by Weishaupt in Ingolstadt. This order would later be renamed the ‘Order of the Illuminati’ (Latin illuminati = the enlightening). Despite what many fi lms and books claim, the goal of the order had nothing to do with sinister and evil powers. In contrary, a ‘light of reason’ which was long oppressed by church dogmas was to be exposed in order to create a new world order. Government, religion, and education were to be completely reformed. Virtue, wisdom, and science should be victorious over persecution and despotism. High ranking nobles and celebrities of the time, such as Goethe, would become Illuminati. In 1785, the Bavarian sovereign Karl Theodor had banned the Illuminati for all of Bavaria. Adam Weishaupt was then forced to fl ee to Regensburg on the 16th of February 1785, dressed as a craftsman. On July 20th 1785, the priest and fellow Illuminati member Johann Jakob Lanz visited him. As Lanz was walking near the city gate, he encountered a heavy storm. As if god was outraged by his bold affi liation, lightening stuck Lanz and he was killed immediately. A list of members to the Illuminati was found in his clothing. 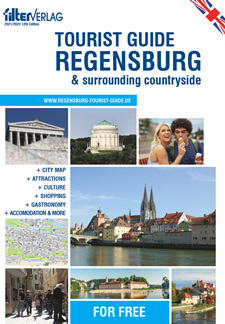 The free city of Regensburg was then pressured to deliver Weishaupt out of the city limits. Bavaria had even commissioned spies to arrest Weishaupt the second he was to step foot on Bavarian soil (for example Bavarian Stadtamhof). Weishaupt then fl ed to Gotha’s ducal court in 1787. The Illuminati would continue to be slandered and persecuted while Weishaupt attempted to clear the name and rehabilitate the order. He never quite succeeded in doing this and later died in 1830.